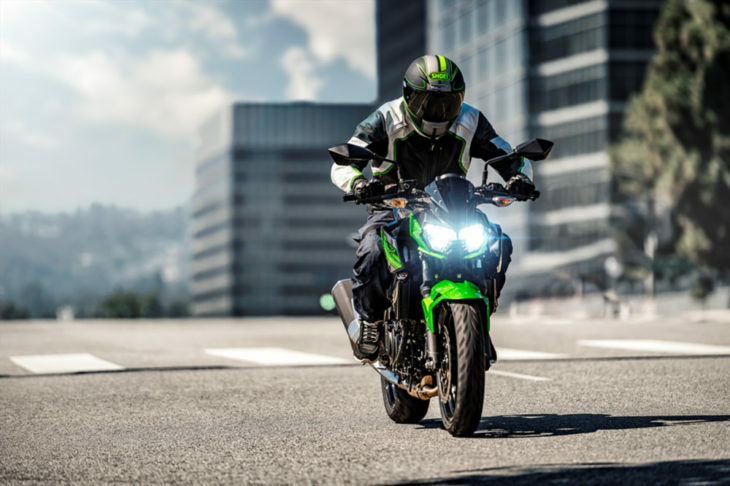 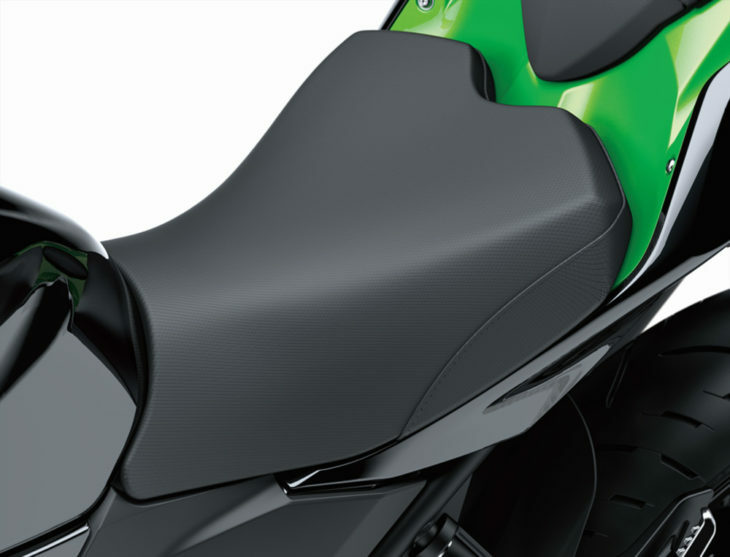 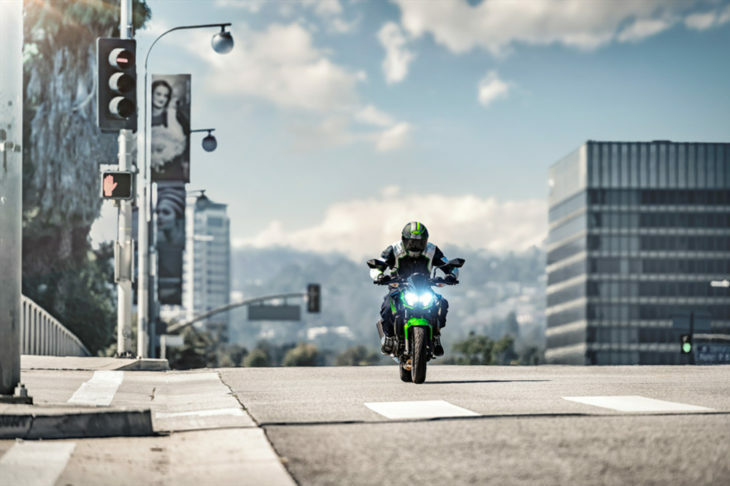 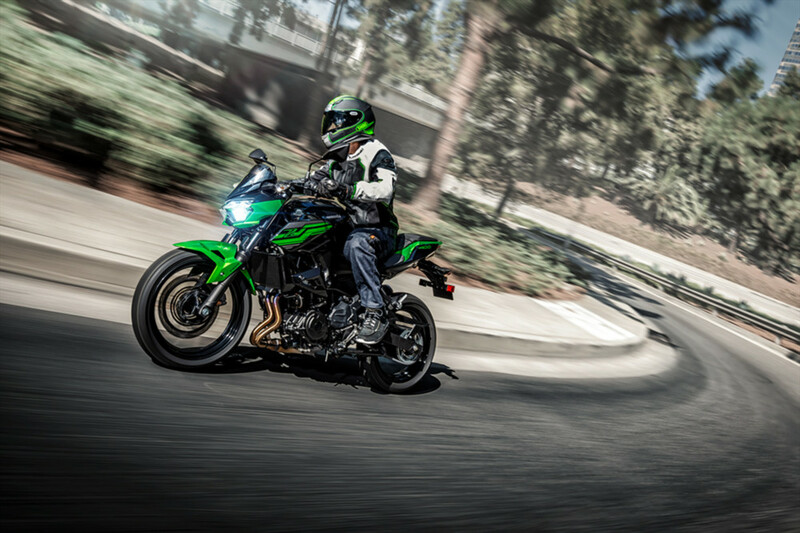 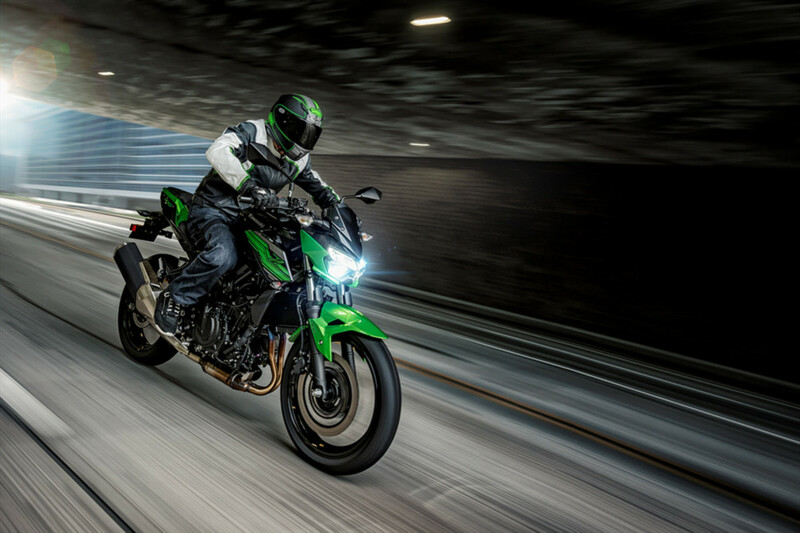 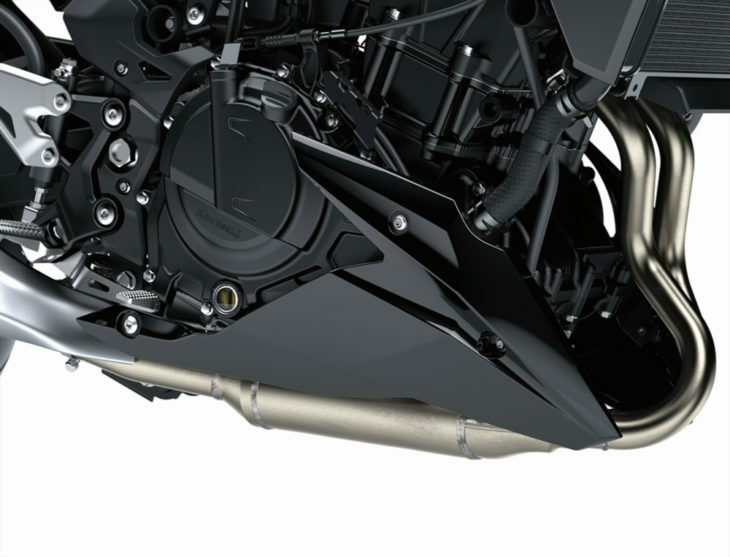 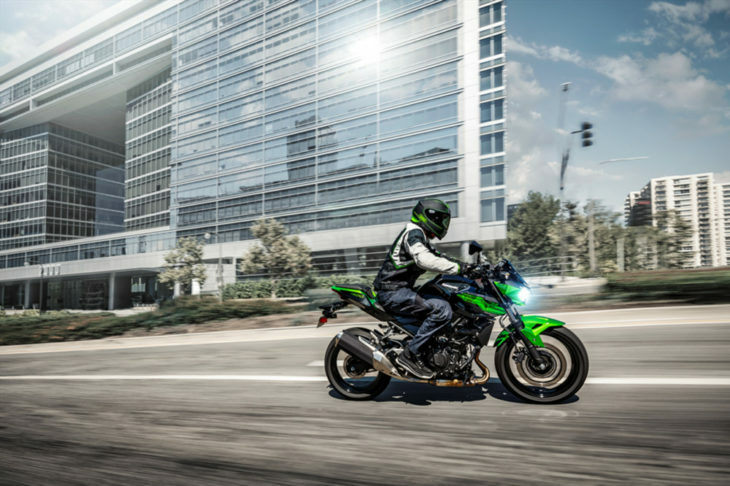 2019 Kawasaki Z400 ABS First Look—It’s no secret how impressed we’ve been with Kawasaki’s Ninja 400 entry-level sportbike. It provides razor-sharp, corner-carving handling and a spunky motor with the power to delight and entertain even the most experienced sport riders. 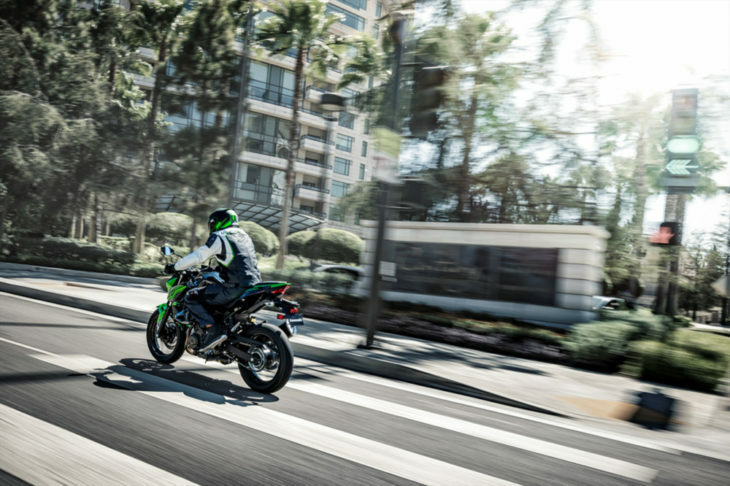 The 2019 Z400 ABS embodies that same performance package, but now in stripped-down, naked trim. 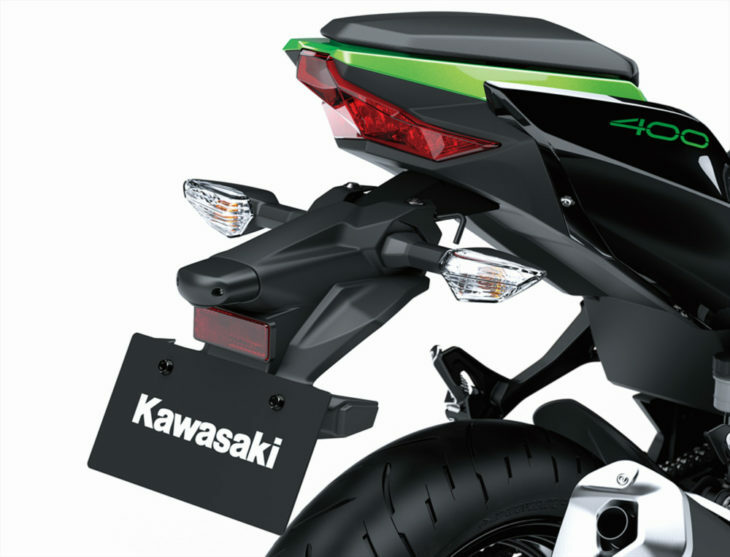 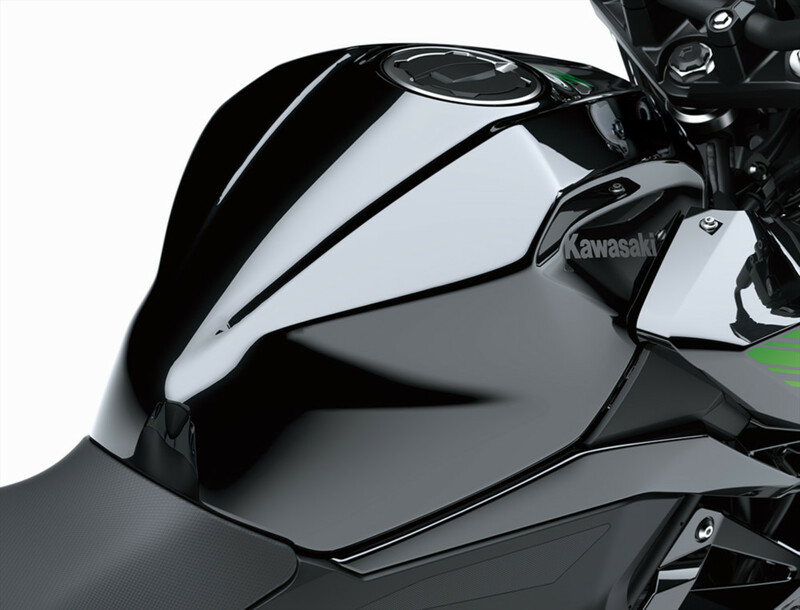 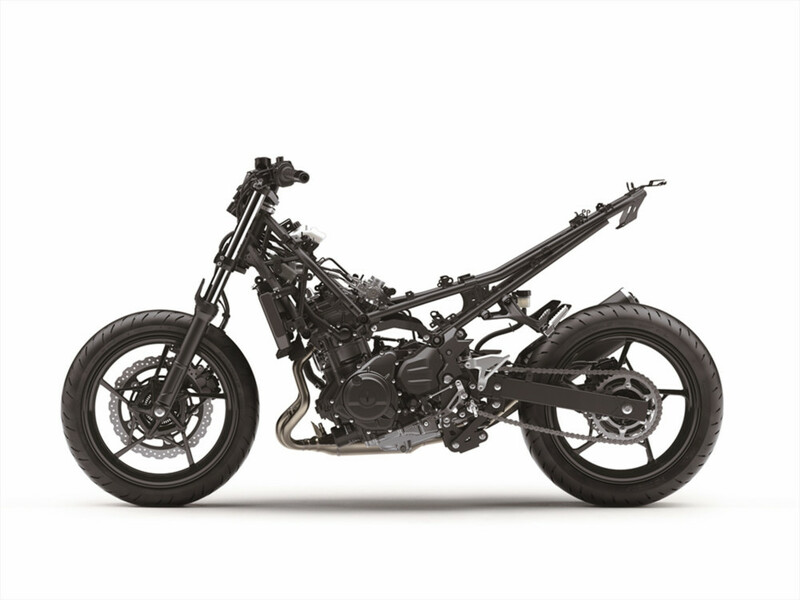 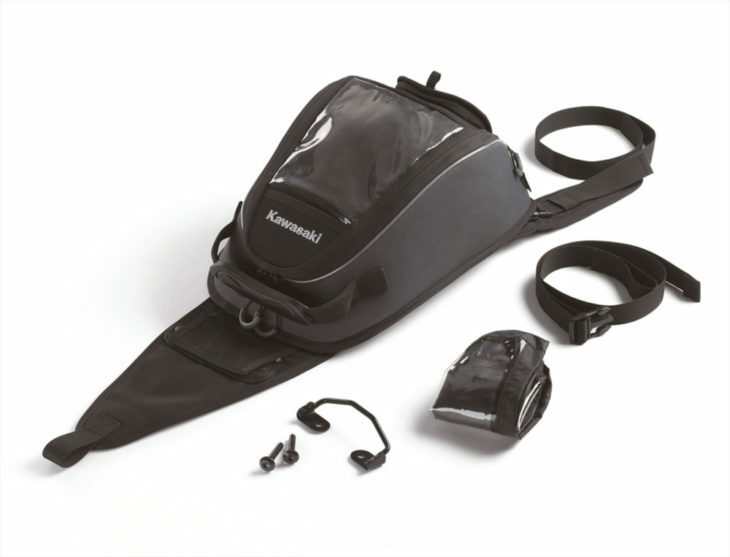 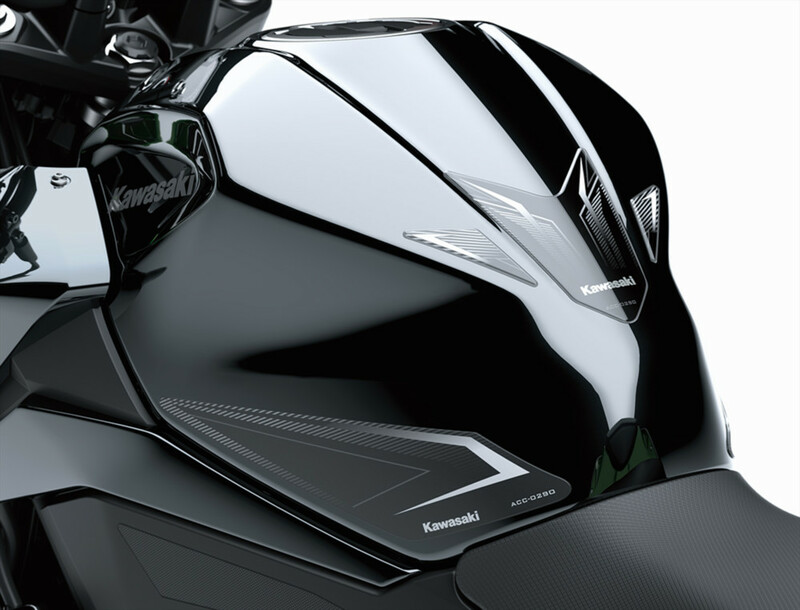 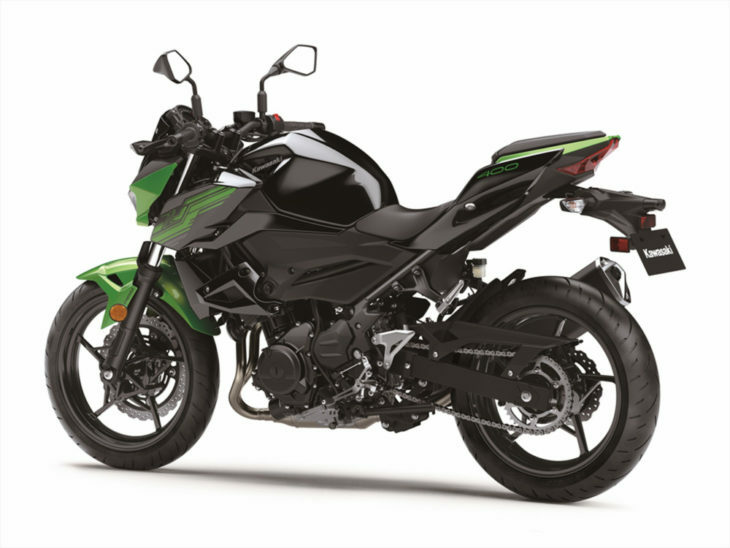 The Z400 was the missing link in Kawasaki’s nakedbike chain. 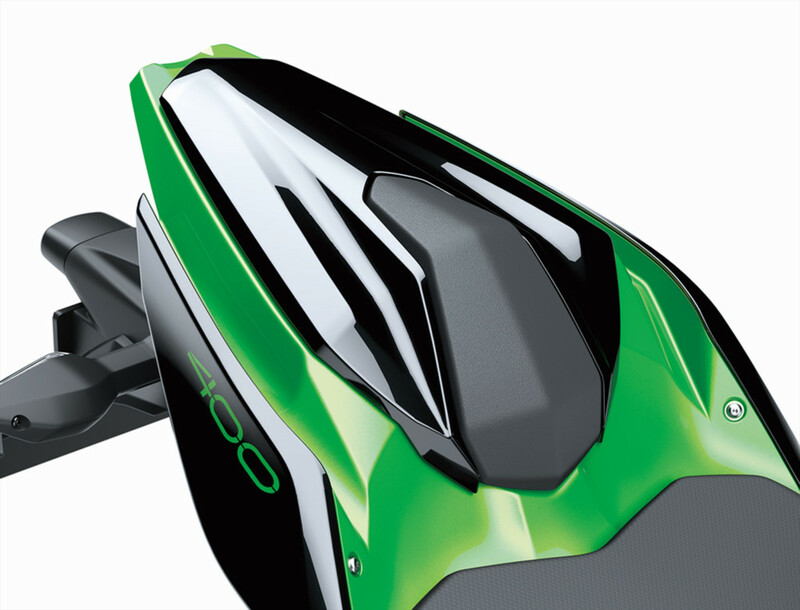 We love the Ninja 400 and expect this little rocket to be an excellent machine, too. 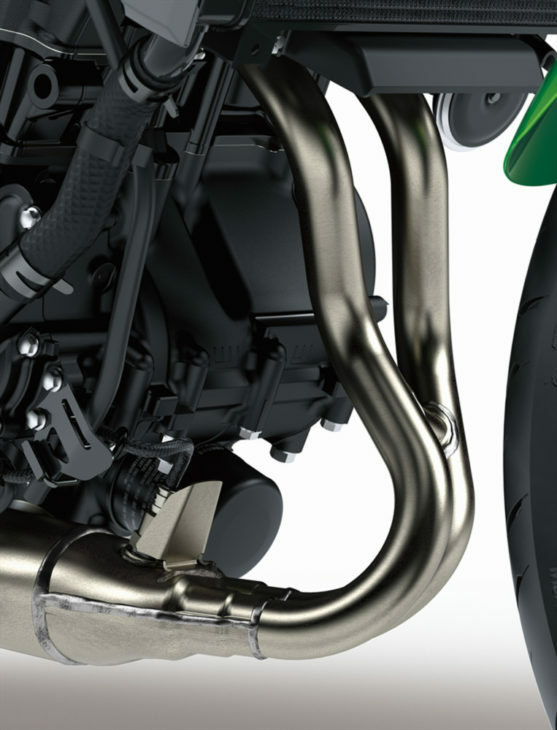 Featuring the same 399cc parallel-Twin engine as the Ninja, the Z400 has been tuned for more bottom end characteristic of a street fighter through careful airbox and intake design. The sporty motor also doubles as a stressed member of the trellis-style frame to not only provide optimal chassis rigidity but also to keep weight down as low as possible. 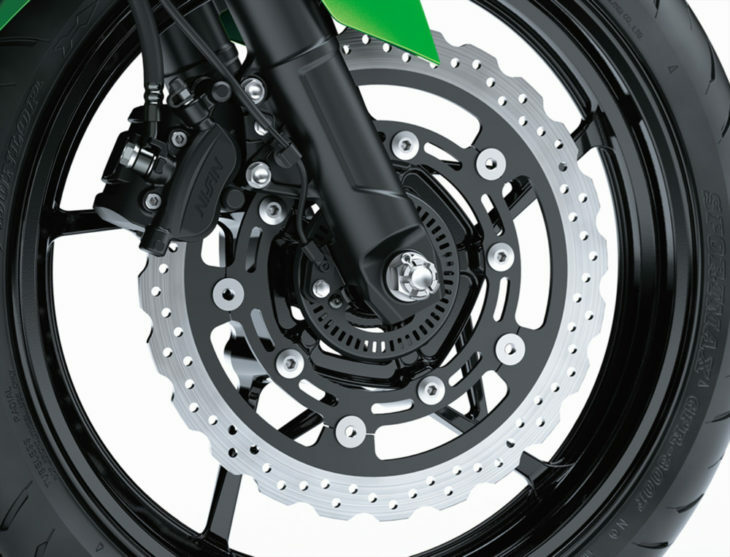 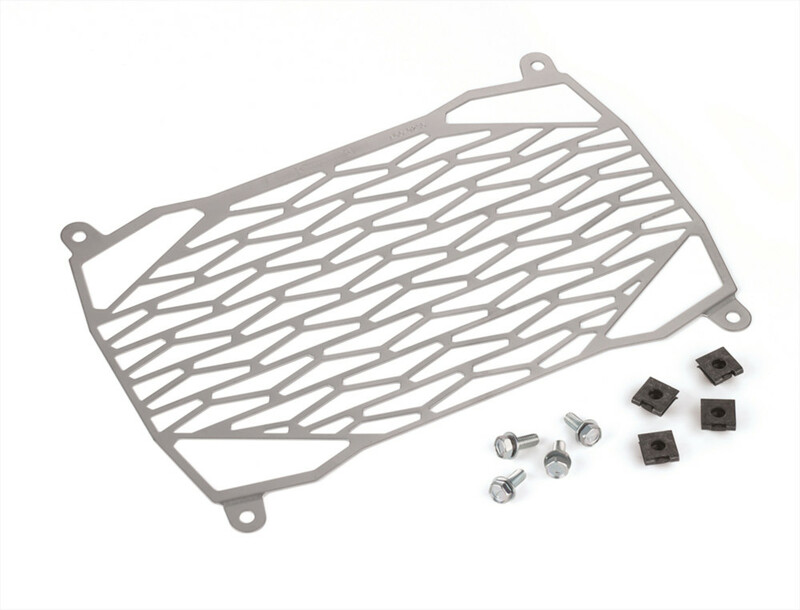 A compact assist & slipper clutch with light lever pull complements the six-speed transmission in mitigating engine back torque to prevent rear wheel hop or chatter under aggressive downshifts. 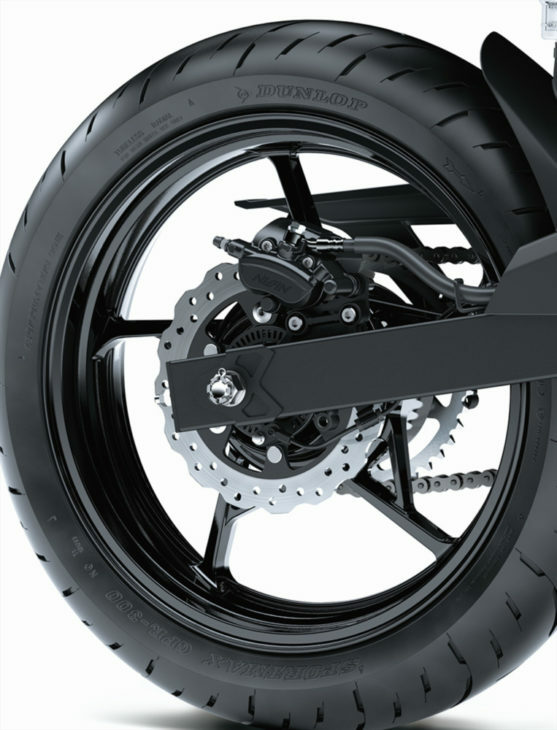 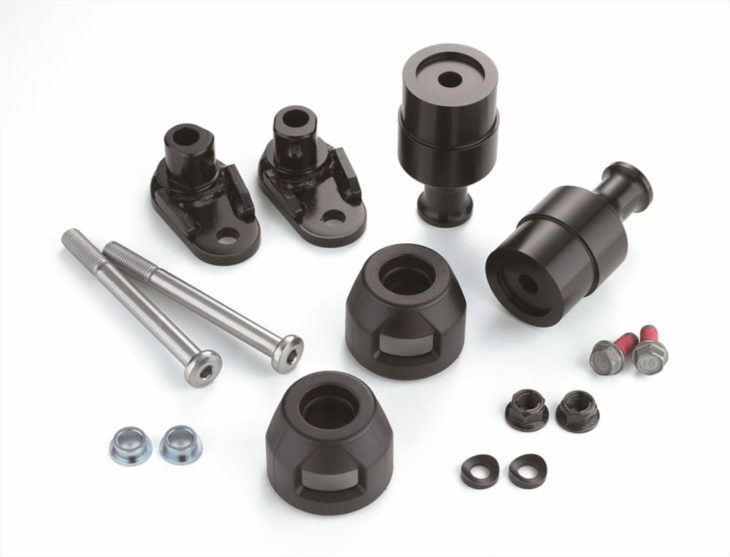 Bump absorption is handled by a 41mm non-adjustable telescopic front fork and a five-way preload-adjustable rear shock. 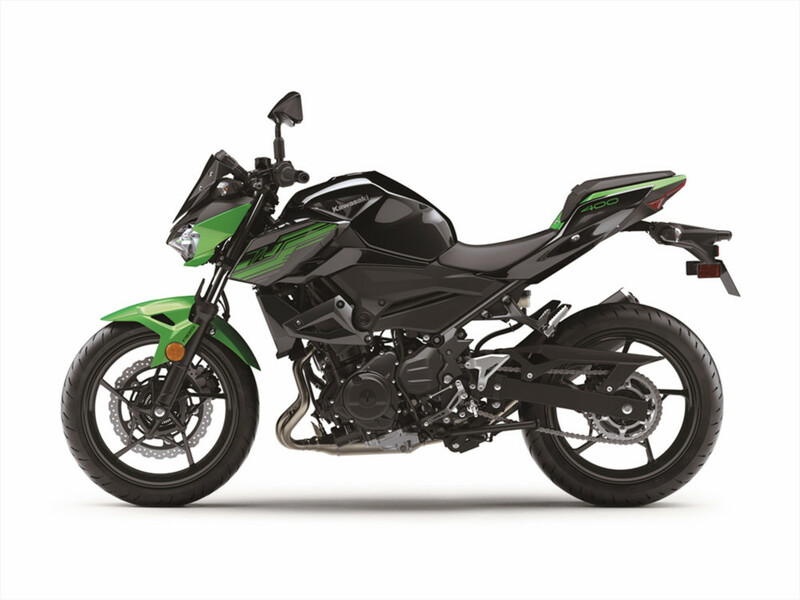 A steep 24.5-degree rake and short 53.9-inch wheelbase help with the lil’ Z’s precise steering and handling abilities while a longer swingarm compensates and ensures stability. 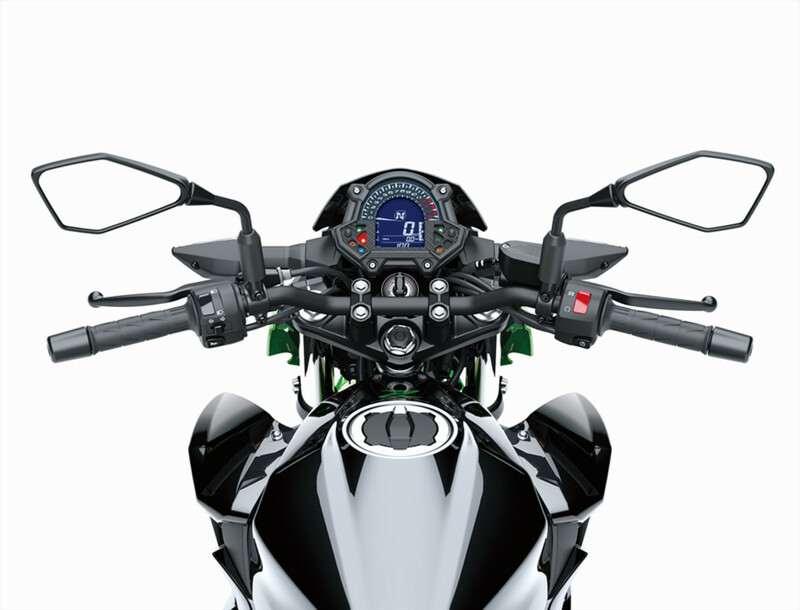 Largest in its class, the Z400 features a 310mm semi-floating petal-style front rotor clamped down on by a two-piston Nissin front caliper, and is matched with a Nissin dual-piston/220mm rotor combo out back. 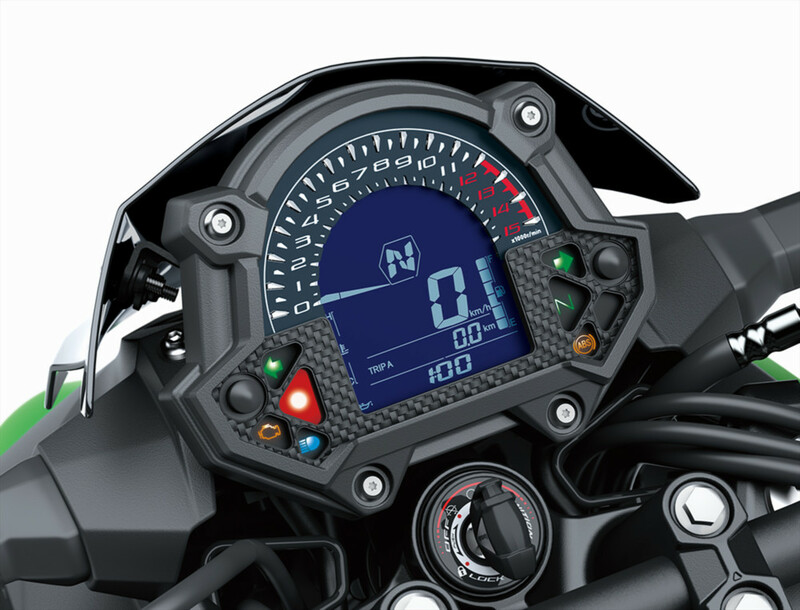 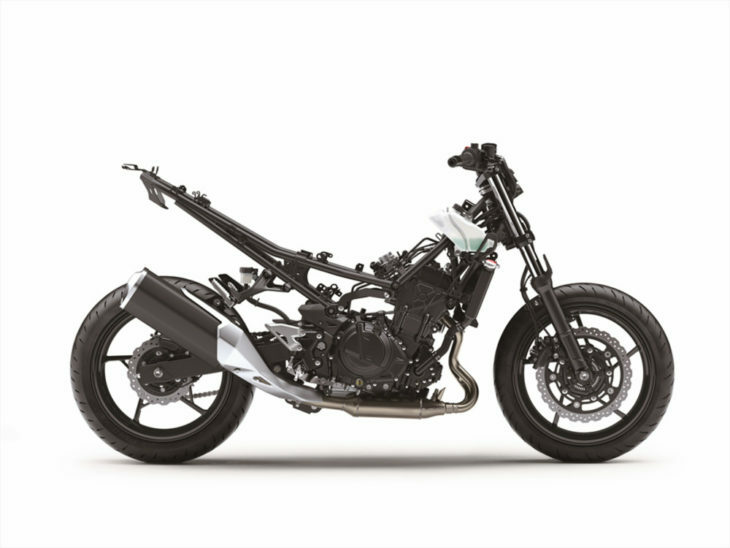 Finally, as its name would suggest, the 2019 Z400 comes with ABS standard. 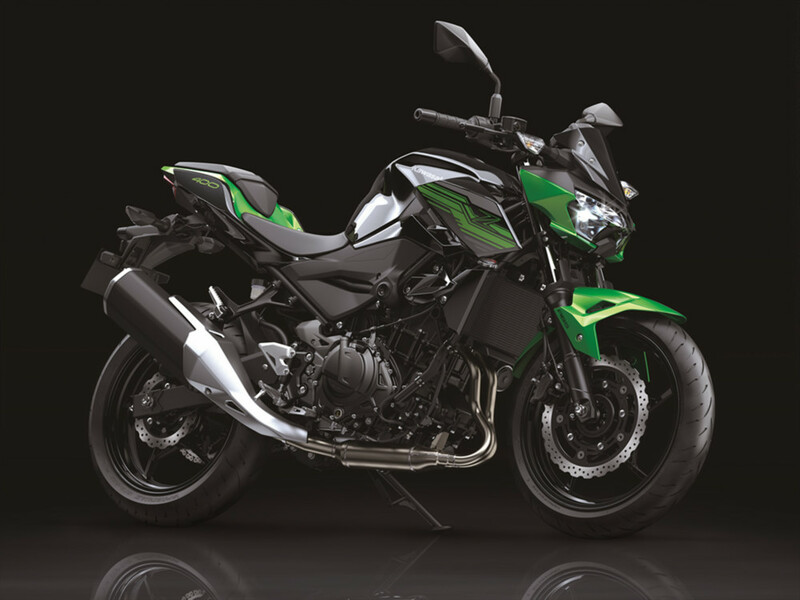 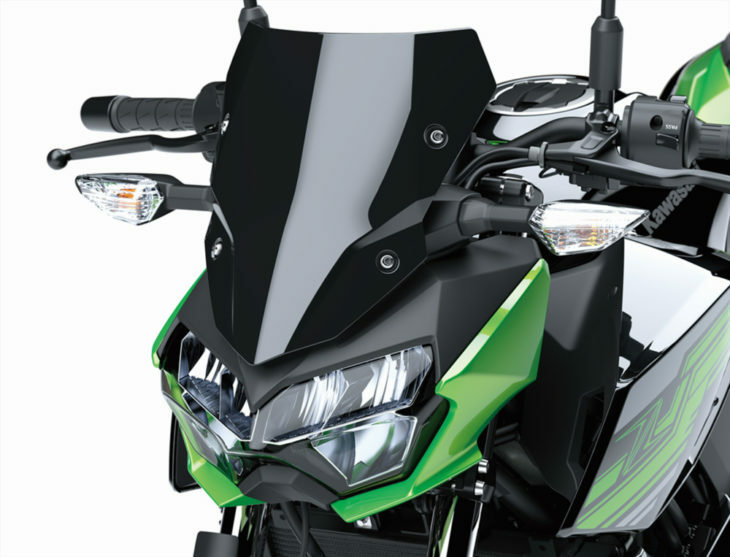 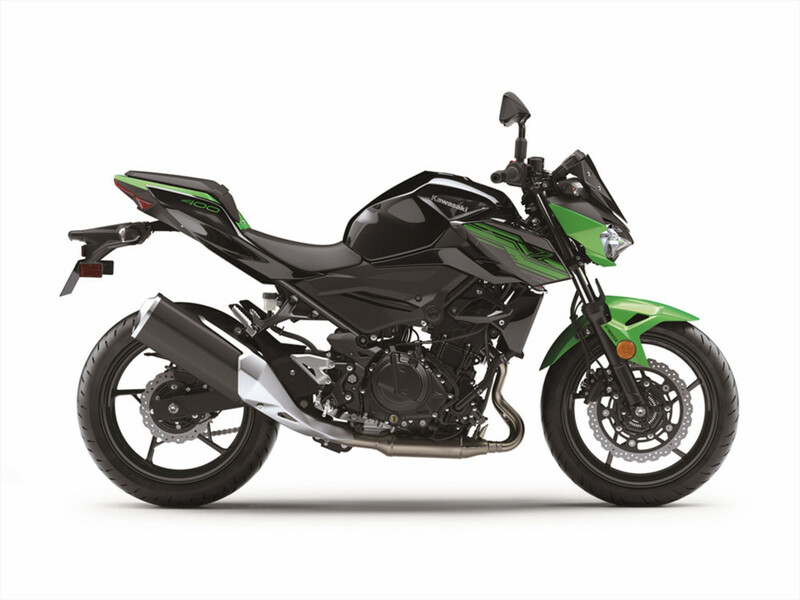 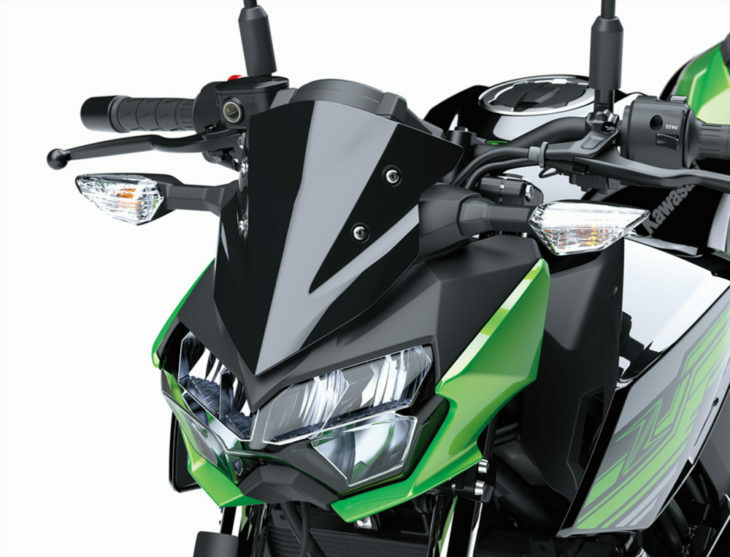 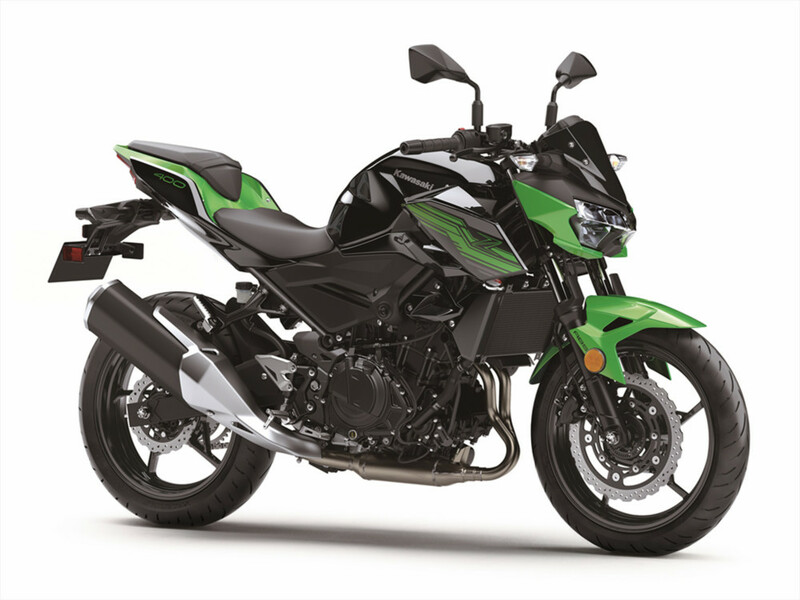 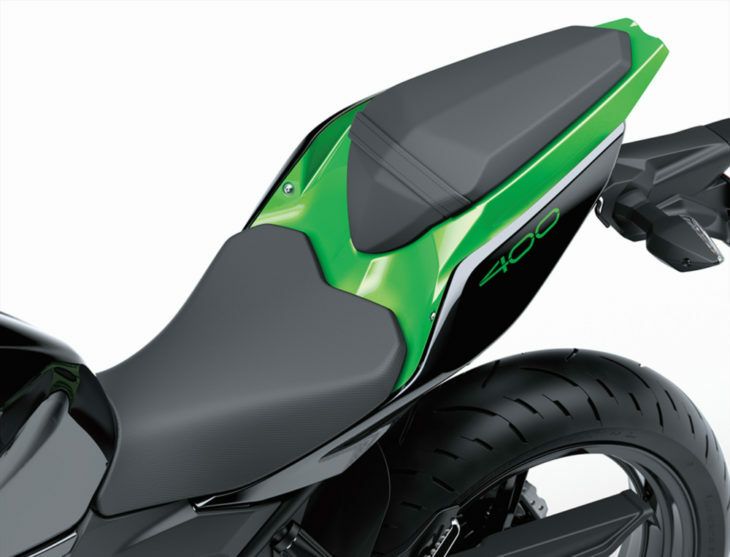 The all-new Z400 with its distinctly sharp Sugomi design provides a crouching stance, with a low-positioned head, and upswept tail to give this smallest Z a silhouette instantly relatable to its bigger Z650 and Z900 brothers. Competitively priced at $4,799 and available in either green or red, the 2019 Z400 ABS gives entry-level motorcyclists a performance platform they’ll be able to learn on and grow with as their skills develop for a long time.